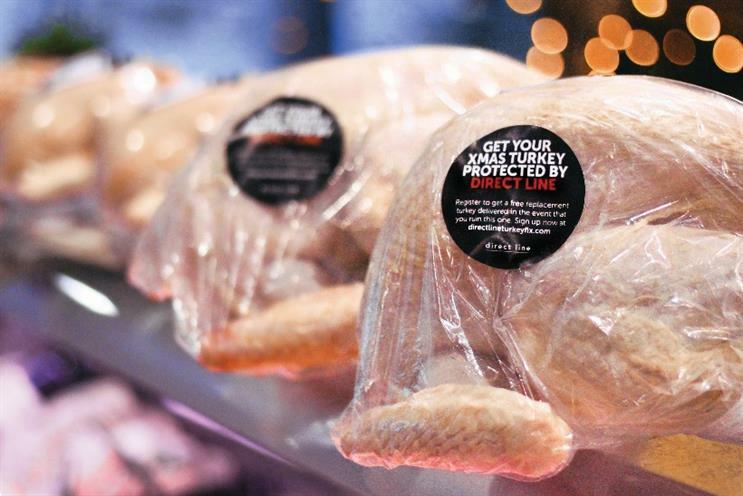 Nervous chefs can take out free insurance against burnt, dropped, dry and undercooked turkeys in a new campaign from Direct Line. The insurer is offering "free turkey protection" to anyone signing up at www.directlineturkeyfix.com, and will hand out replacement birds to claimants suffering kitchen disasters. Customers can also request replacement birds via Twitter or over the phone on Christmas Day. Direct Line will have a "limited" number of replacement turkeys being roasted by professional chefs in South London. Claimants will need to be located within three miles of South London, and Direct Line will only hand out one replacement turkey per person. Direct Line is pushing the promotion at farmers' markets and butchers around South London.